People go to the woods for all sorts of reasons. Still, I think it’s a reasonable expectation that your reason to visit not unduly impact my or anyone else’s reason to visit. Tossing a drone up in a peaceful place enjoyed by thousands pushes that, in my opinion. Expecting that your aerial photography is OK while the rest of the thousands in attendance do not want drones around is also unreasonable. Anyone see an issue with everyone who visits Cascade’s summit enjoying unfettered aerial photography? I also find the tourist flyovers in real planes a little annoying. Fortunately they seem limited to the popular peaks, but they would not be tolerated either if these aircraft were ten feet above the heads of the people on top. Drones are an annoyance. Sell permits and limit the availability of them before this gets out of hand, please. 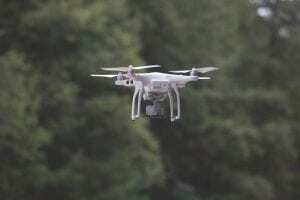 Editor’s note: This comment was in response to a blog post about a Canadian resident who pleaded guilty to operating a drone in the High Peaks Wilderness in violation of environmental-conservation regulations.